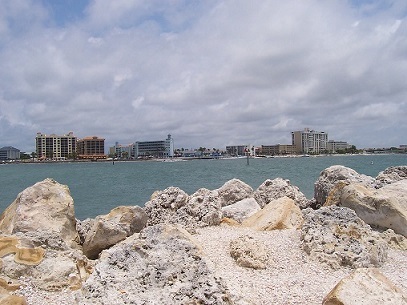 Clearwater Florida is in Pinellas County Florida and is located on the Gulf of Mexico; west of Tampa and Northeast of St. Petersburg Florida. Florida became a territory in 1822 and colonist began to settle in the mid 1830's. 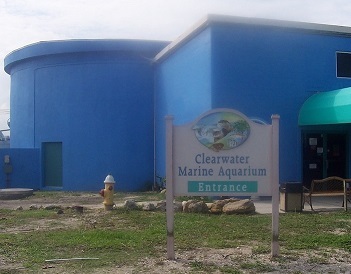 In 1895 Clear Water was renamed to Clearwater. In 1947 the Philadelphia Phillis began their Spring Training in Clearwater and still do to this day. 108,000 people reside in Clearwater alone, it goes up by 20,000 in Winter. Clearwater holds the record of 361 days of sunshine; according to the Geniuses Book of Wold Record. 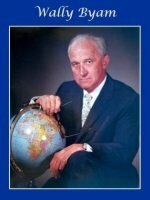 Their are several campgrounds in the Clearwater Florida area that are worth considering. You may also want to check out the nearby cities, Largo and Dunedin. Below are a few campgrounds in the Clearwater area. Dunedin is 5 miles north of Clearwater Florida, and is also a good choice when choosing a destination to stay. Dunedin RV Resort: This resort is located in a wooded area and is a short distance from a State Park and hiking trails. Largo is five miles south of Clearwater and also has several RV parks to choose from. Clearwater Beach is the only Pinellas County beach that offers year round life guards. (9:30-4:30) The beach offers showers, restrooms, concessions, umbrella rentals, and much more to visitors. Pier 60 is a causeway extending into the Gulf of Mexico. It offers deep sea fishing during the day and at night turns into a festival. Two hours before and after sunset, vendors are welcomed onto the pier to entertain and sell their goods to prospective customers. Ancolte Key State Park can be reached only by a personal vessel or by ferry. You can also reach it via the Spongeorama in Tarpon Springs Florida. We'll talk more about this destination in our Tarpon Springs destination. 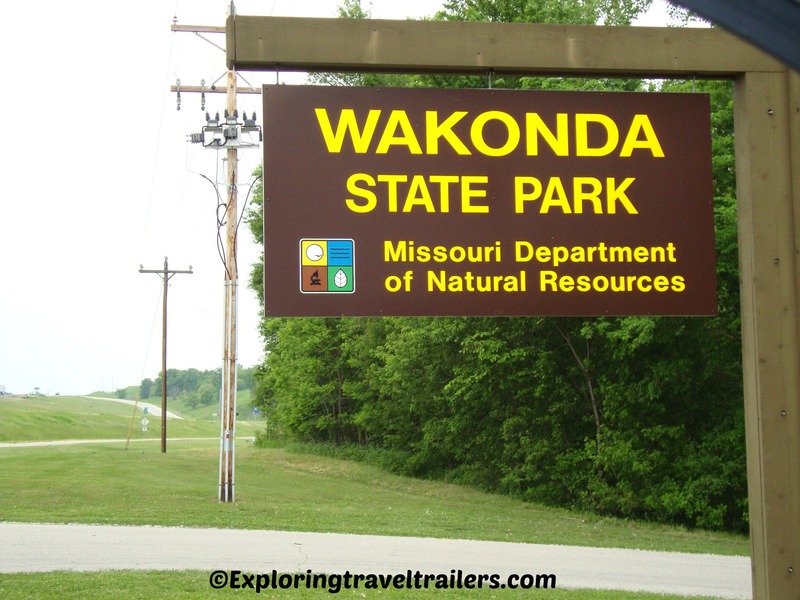 This state park is a very unique state park. This island was formed about 1000 years ago from accumulated sand deposits. It has four miles of beach front and is 192 acres of land attached to it. Primitive campground, beach-combing, four picnic pavilions, and a historic lighthouse. 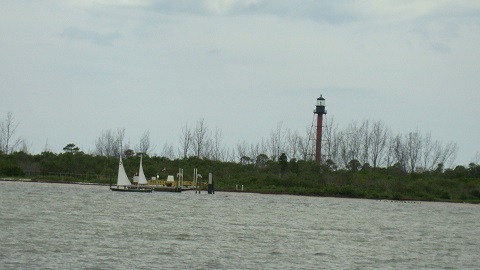 The 101-foot lighthouse can be seen from miles away. This light house was built in 1887 and was used until 1984. 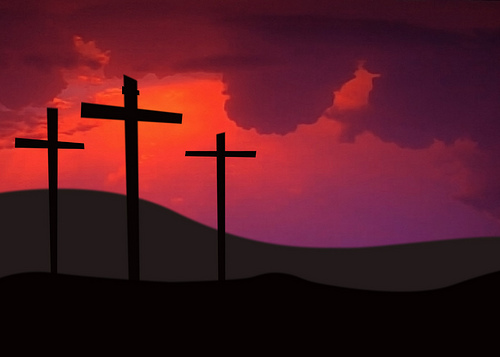 It has been restored, but is not open to the public. You can hike up to the base of the lighthouse from the landing point, it takes about a half hour to do so. 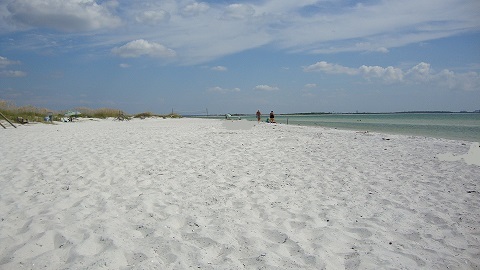 Caladesi Island State Park can only be reached by ferry. The hours of the ferry are from 10AM to 3-5PM. This depends on the season and weather permitting. This island has 2500 acres submerged land, three miles of beach, six miles of shoreline, three miles of hiking trails, and a three mile kayak trail. This island is also ADA accessible. 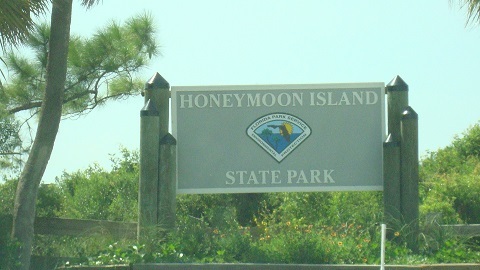 You must purchase a ticket from Honeymoon Island State Park before accessing this island, or by private vessel. It is a half hour ride to this park via ferry boat. This park consists of six islands, but Caladesi is the largest of them all. 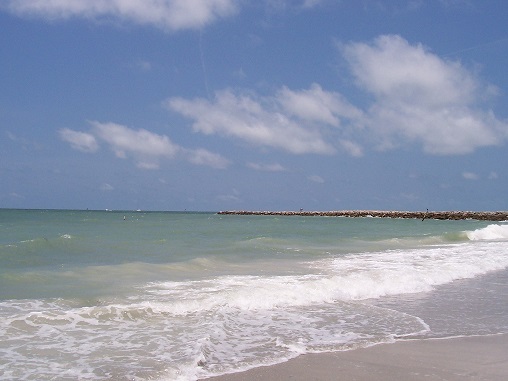 Caladesi was originally connected to Honeymoon Island State Park, but a hurricane split them apart in the year 1921. In later years storms shredded the island and created the smaller islands. Caladesi was then reformed as a mainland coast island. Honeymoon Island State Park originally was part of Caladesi Island State Park, as mentioned above. The island was first known as Sand Island. From 1880-1939 a settler tried to form hog farming there, but was unsuccessful. In 1921 the island split and in 1939 a developer built fifty palm-thatched bungalows and then changed the name to Honeymoon Island. A causeway opened to cars in 1964 and the island became a state recreation area. This island has five miles of beach and two in a half miles of hiking trails. 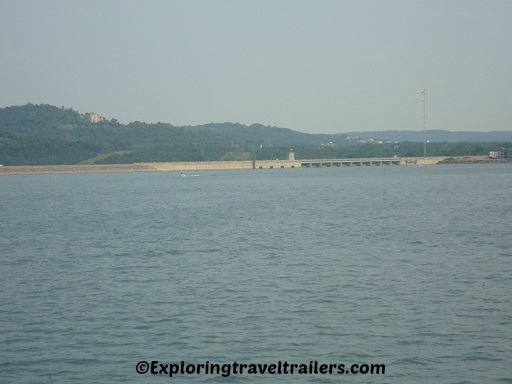 Beach-coming, canoeing, boating, fishing, hiking, picnicking, swimming, and surfing are all fun activities on this island. These islands mentioned here are just the beginning. The Florida beaches are all so gorgeous and each one has its special uniqueness. Pretty much on all the islands you can go shelling, swimming, and hiking, among other activities. I will say though, if you have never been to Florida or a Florida beach please remember to take your sunscreen:-) The Florida sunshine is very intense and it can do damage to your skin, if your not careful. Take this from someone who has been their, done that and got the T-Shirt for it! 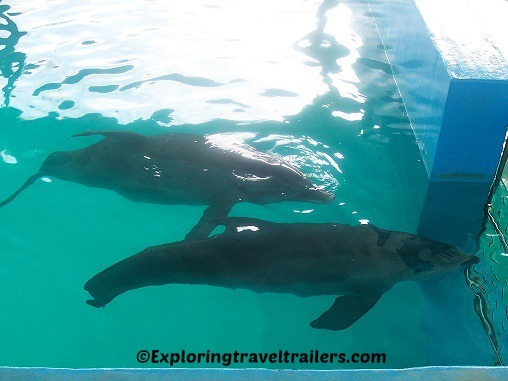 Much to see and do in and around Tampa and Clearwater Florida! Here are some destinations you may want to consider on your next trip to Clearwater/Tampa. These are in no particular order. Bay-shore Boulevard: Five miles of sidewalk with one side the bay and the other side historic homes. Big Cat Rescue: The worlds largest sanctuary for big cats.